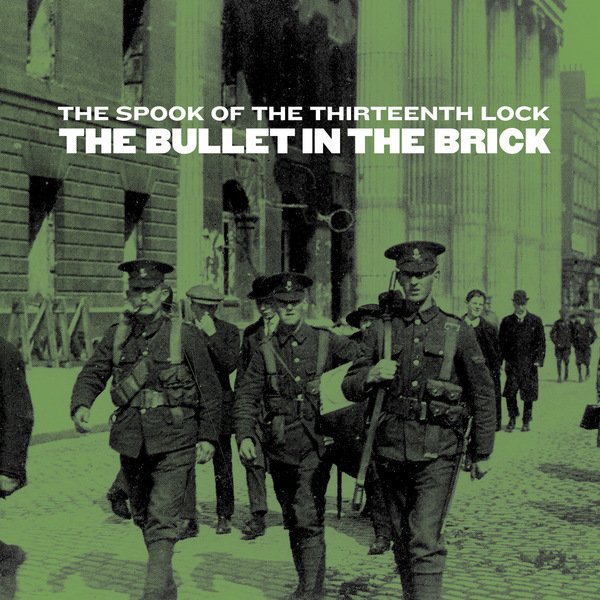 The Spook of the Thirteenth Lock return with a new piece called "The Bullet in the Brick", released on the calendar centenary of the Easter Rising. Featuring the same electric guitar orchestra used in ‘Lockout’, "The Bullet in the Brick" explores various aspects of the Easter Rising such as the bombing of Dublin by the British gunship "The Helga", the murder of activist Francis Sheehy Skeffington and its attempted cover-up, and finally the Proclamation of the Irish Republic. The A-side of the 12” includes the full “Bullet in the Brick” suite while the B-side features a live recording of the first movement from "Lockout". Download includes A-side only.